In the summer, the soaring granite cliffs and gushing waterfalls of Yosemite National Park feel like the Bay Area’s favorite outdoor playground. At a little over three hours away from San Francisco, it’s one of the region’s closest and most beloved national parks. And it’s not just packed with outdoor enthusiasts from Northern California: Every year, more than 4 million people from around the world flock to country’s third-largest and fourth most visited national park. However, the vast majority of these visitors never stray beyond Yosemite Valley, a mile-wide and seven-mile long stretch cut by the Merced River and carved out by ancient glaciers that encompasses many of the park’s most famous landmarks. In fact, many Yosemite veterans have a love-hate relationship with the valley. On the one hand, you can take your pick of excellent ways to experience the area: Lounge in the meadow and watch the face of Half Dome turn pink in the sunset, spot climbers attempting to scale the world-class face of El Capitan, hike from the valley floor to the park’s tallest waterfall, and experience views that have inspired photographers and naturalists for over a century. On the other hand, you can order a pizza, ride the shuttle, and navigate gridlocked cars and RVs full of with awe-struck tourists snapping photos of squirrels, and hike a ways just to avoid the crush of people at the start of every trail—not exactly the picture of serene wilderness that may outdoor enthusiasts are after. But there’s relief to to be found in the rest of the park’s 1,200 square miles that are beyond the valley, with epic scenery and a fraction of the crowds. Here, five great day hikes in Yosemite National Park that are off the beaten path—but right on the mark for enjoying this majestic landscape. 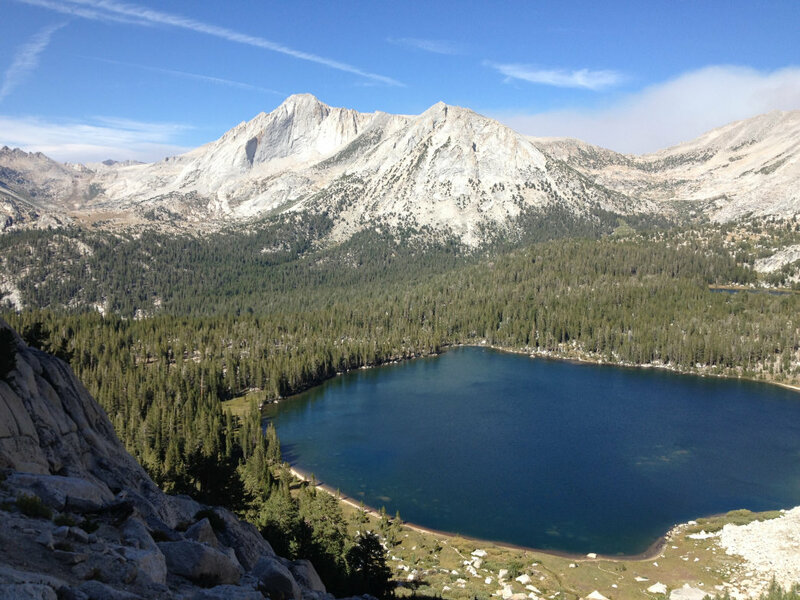 The John Muir Trail to the Cathedral Lakes is one of the most popular hikes starting from Tioga Road in the eastern region of the park. The trail sees its fair share of day hikers and overnight backpackers, though nowhere near as many as a popular hike in the valley. The 8-mile round trip hike takes you to the lower and upper Cathedral Lakes regions, both of which are above 9,000 feet and boast some of the park’s most stunning alpine scenery. Granite peaks ring the lakes and, at the right time of day, reflect perfectly onto the smooth surface of the water. 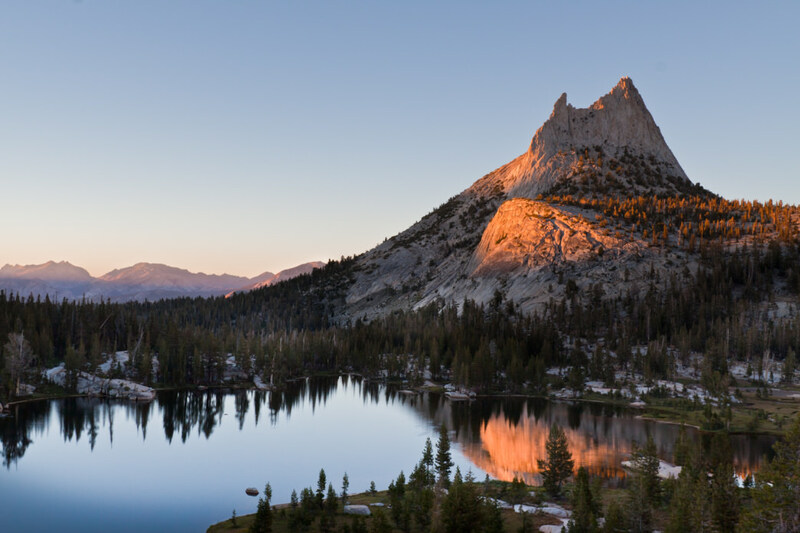 The lakes make for a great day hike, but backpacking in will allow you to spend time swimming, relaxing in the sun, and watching the last rays of sunlight illuminate Cathedral Peak. 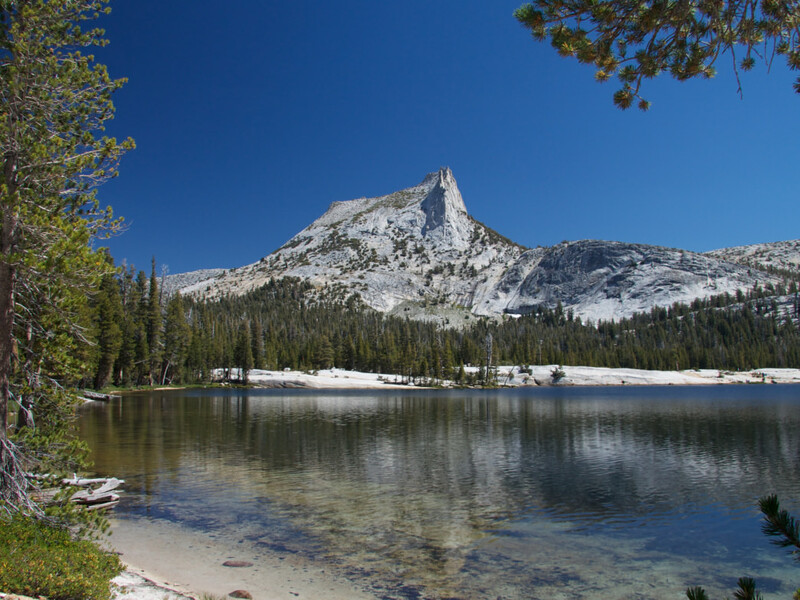 Also starting from the Tuolumne area, the trail to Young Lakes takes you across classic Yosemite high country. The approximately 15-mile hike is mostly a loop, but includes a short out-and-back segment to reach the largest of the lakes. 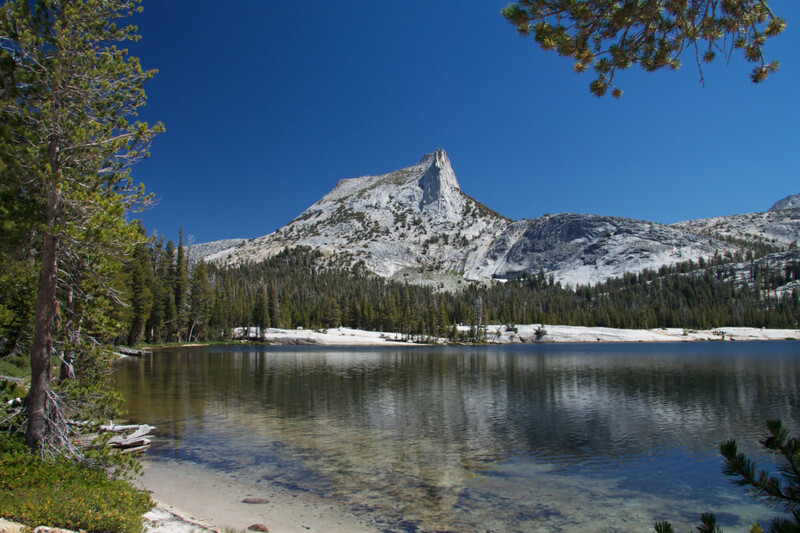 From the trailhead across from the Tuolumne campground, the trail meanders through forest and meadows, across granite slabs, and deposits you on the shore of an idyllic alpine lake, perfect for a refreshing dip during warm weather. If you’re up for it, you can follow a relatively straightforward route up the scree slope on the shoulder of Ragged Peak. The view from the top of Young Lake and the mountains beyond is well worth the scramble. 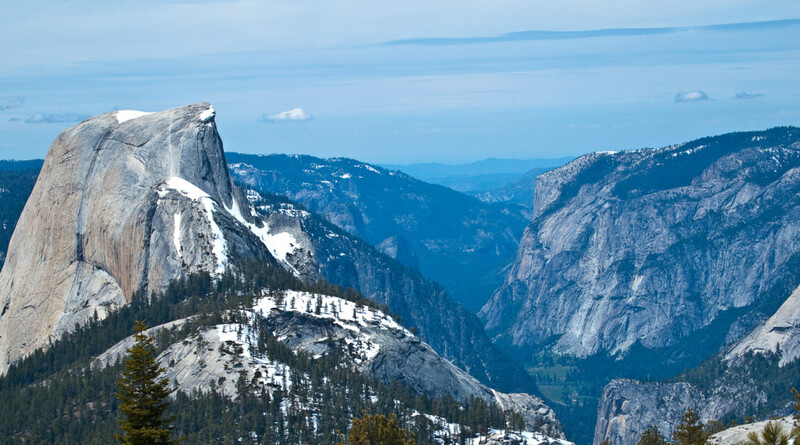 From the top of Cloud’s Rest, you will have one of the best views of Half Dome and Yosemite Valley—without ever setting foot in the valley itself. The overlook can be reached by a 13-mile roundtrip trail that starts from Tenaya Lake, culminating in a traverse of the knife-like arrete that separates Tenaya Canyon and Little Yosemite Valley. Ancient glaciers eroded the rock on both sides, leaving the narrow spine of granite that you can hike today. 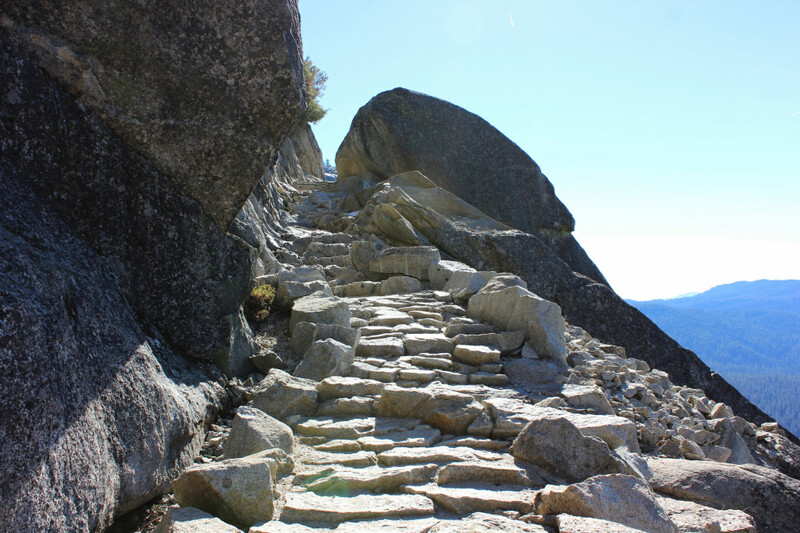 Start by following the Sunrise Lakes trail and then continue on towards Cloud’s Rest, the 9,926-foot viewing platform where you will have a 360-degree view over Yosemite. John Muir once called the Hetch Hetchy Valley the perfect counterpart to Yosemite, and though it has long since been flooded by the O’Shaughnessy Dam, the valley remains a beautiful place to explore. Hetch Hetchy is tucked away in the northeastern corner of the park, receiving a fraction of the visitors compared to Yosemite Valley. 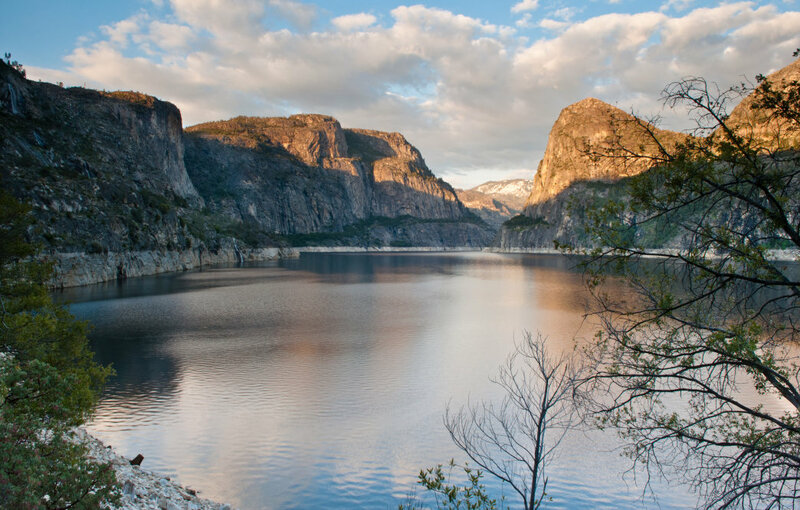 In addition to views over the fjord-like reservoir, sheer cliffs, and gushing waterfalls, the Hetch Hetchy area has the longest hiking season in the park due to its lower elevation, and may be one of the easier places to get an overnight permit. Popular day hikes include trips to Wapama and Rancheria Falls. Overnight trips out of Hetch Hetchy can take you to serene lakes tucked away in the backcountry. Yosemite Valley’s iconic waterfalls may steal the spotlight, but also well worth a visit are these impressive falls. Located near the park’s southern entrance, the Chilnualna Falls trail takes you past three cataracts, including the 240-foot upper falls. The 8.4-mile round trip hike climbs over 2,000 feet, making this hike strenuous in the summer heat. When the trail is at its hottest, the creek slows to a trickle and all but dries up, making it possible to swim in the pools above the falls that, during peak flow in the spring, make it impossible to get up close to. Expansive views over the National Forest reward your climb.